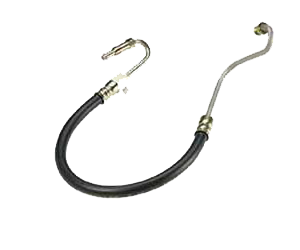 Power Steering Hoses Manufacturer, Power Steering Hoses Manufacturer in Pune. The power steering hose connects the power steering pump to the cylinders that enables a vehicle to turn left and right easily. Also known as the power steering pump or PS pump, it takes a pressurized power steering fluid right into the steering rack and uses it to control a steering wheel's rate of turn.